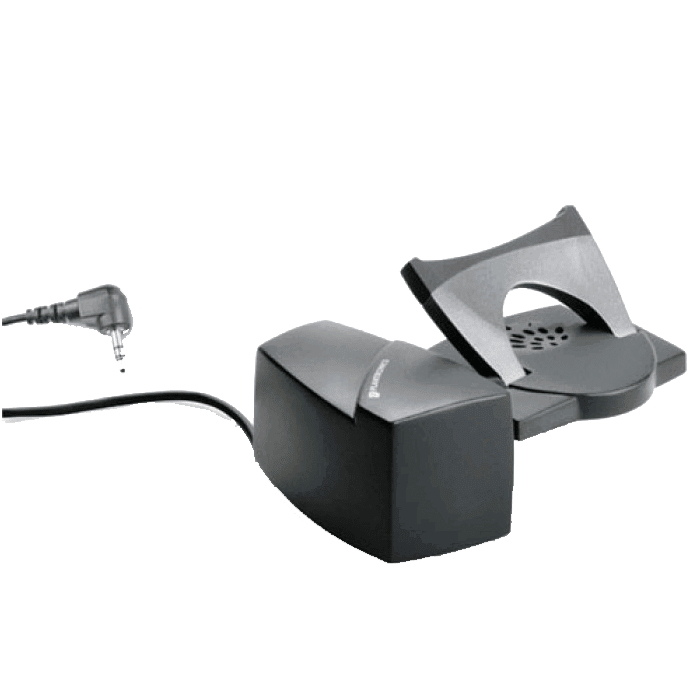 Plantronics HL10 Handset Lifter - 60961-32 - Headsets Direct, Inc.
*Part # 60961-35 is the exact same HL10 handset lifter, except with a straight plug (180 degrees). 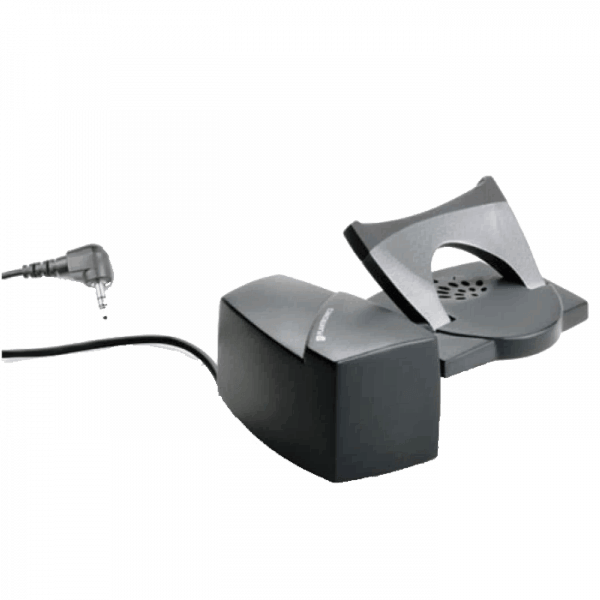 The HL10 with the straight plug only works on CS500 & Savi models of wireless headsets. I only order the headsets but the co workers I order them for have never had any problems. Received quickly and exactly as described. At first I was confused how it worked with our phone system and Plantronics CS540 – but tech support easily talked me through it- switched my jacks–thanks Wayne! A great feature and great tech support. So functional for call specialists as they work in a busy office setting! Love the functions of the lifter! Love the way I can be across the room and answer the phone with 1 push of a button on my ear piece. The stick on the sticky foam doesn’t last – so it falls off your phone. The two-sided tape doesn’t hold to the phone, the lifter arm tends to be weak and drops after picking up and occasionally hangs up on call if you aren’t watching. Works well for our purposes. I wasn’t sure initially whether the lifter would match up to my older phone, but, it works as if it was produced as one unit. While it does exactly what it is purported to do, even when you get it lined up, it does not always hang up the headset. Plus once it is adhered, repositioning is not easy. The handset lifter works great, but I found it somewhat difficult to adjust. After I got it adjusted right, and figured out that the phone cord has to be set in a certain way so it doesn’t apply pressure to the bottom of the receiver, I love it. After just one week, I’m having sporadic problems with this lifter. Sometimes it doesn’t lift or drop, and sometimes it does, but without answering the call. Working well now, hope it works for a long time. Works great with my cordless headset. This is a must if you’re getting the headset that it goes with. It is easy to set up and works. We like it when it works… it’s been hard to get it in just the right spot. And then once we think it is, then it doesn’t hang up quite fully. May have to add the extended. Jury’s still out. I never used one. When I was ordered the headset, there was a discounted price on the handset lifter, so I bought it. Glad I did. I have been using the headset a lot more since I got it. We purchased this model to be used with our wireless headset and it was easy to set-up and use. This is our second purchase of this model because of it’s features and the price was very reasonable. Thanks!! This headset makes me feel like the bees knees. I love how convenient and useful it is. I could take on the entire business world with one push of my headset button. Great product support; quick shipping. Couldn’t have asked for better! setup was easy and support by Headsets Direct was friendly and helpful. Will recommend this company to anyone looking for their products! Without the accessory our headset would not have worked. I am so greatful that headsetdirect.com showed the additional accessory so that I could order them both at the same time. I have had no difficulty at all with the headset lifter. Works like a charm. 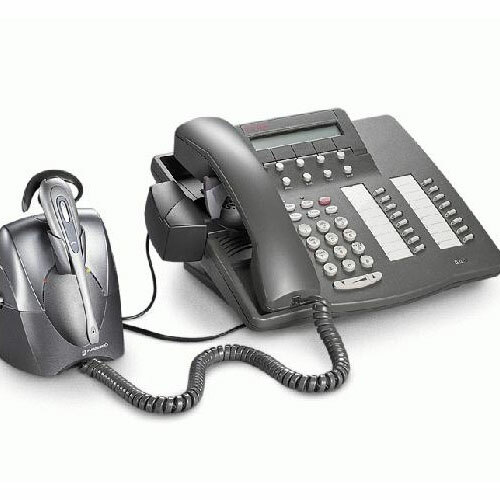 When a call comes in now, I can hit my headset button and answer regardless if it is a cell phone call, a soft phone call or a desk phone call (with the lifter). Sounds great, right? But it is still not quite there yet–I have a 4 line phone and would like to be able to pick up a call on hold remotely. Can’t do that yet. When I hit the headset button, the phone lifts and I just get the first open line. To connect to the ongoing call that is on hold, I have to be at the desk phone. HDI: This will always be the case for the near future. 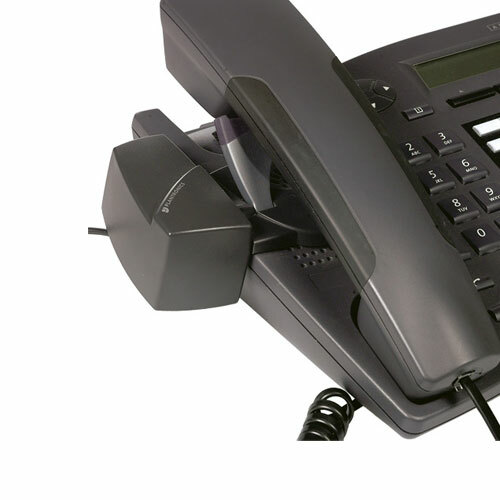 To be able to connect to a call on hold would require you strapping your desk phone (with all available line buttons) to your hip for remote access. Not practical at this point. A few phone manufactures tried remote access with cordless phones but the price was $1500ea and again not practical. Plugs could be a little more comfortable.. But, overall – GREAT product. Works great! Love the ability to move around the office and still answer my phone! I had problems setting it up in the beginning and your tech person was terrific and very easy to understand in helping me get it all set up. When wearing the head piece, sometimes I get a lot of weird noises that after about a minute clears up. So far it is really good working in great condition and the price is amazing. Great to have the ability to answer remotely! does not work well, returned it after hours of torture.